TOKYO -- Shanghai Automotive Industries Corp., China’s largest automaker and a key local joint venture partner of General Motors, opened a North American nerve center in Michigan on June 12 as it deepens its roots in the U.S. auto market. The North American Operations Center is in Birmingham, a suburb just north of Detroit. It will eventually employ 100 people and focus on purchasing, logistics, technology and engineering, the company’s U.S. subsidiary, Shanghai Automotive Industries Corporation USA, Inc., said in a Wednesday statement. The office will coordinate procurement among 150 suppliers in North America and manage the import and export of components. Its engineers will help design and develop auto parts. The three-story building covers 30,000 square feet. 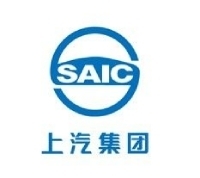 SAIC sold more than 4 million vehicles in China last year and has paired with some of the biggest global makers. Its local joint ventures in China include Shanghai GM, SAIC-GM Wuling Automobile Co. and Shanghai VW. The June 12 opening ceremony was attended by senior executives from GM and SAIC.